Mermaid - "Red Led of Death"
Wow... this has to be the best band I have heard from Spain in a long time. I recently got the bands Tomorrow Never Knows/1000 Light Years From Home 7" and really loved it. Well, the bands latest full length CD, rocks!!!!!!!! The CD opens with the excellent psych rock track, Silver Bullet. I Roch sounds like a Spanish version of Cato Salsa Experience meets Grand Funk! Boots Nights is an awesome funk rock tune that just gets you fired up! Believe My Diamonds Are Forever But Betrayers is another classic rocking tune with some cool acoustic layers and melodic psychy parts. Gravity Goes reminds me of Nebula at times and kicks it up a notch. Woman Mahing Machine is slower and groovier. Southheaven Girl begins with some samples of something like marching music before the bass line, damn catchy, get things rolling. This is very much influenced by the classic 60s sounds and has a bit of Spanish influence. Cool song. Forgiven In The Awakening Of Sand is a 60’s inspired instrumental track and excellent, including some fast strumming Spanish guitar and organ and horns. Very original. 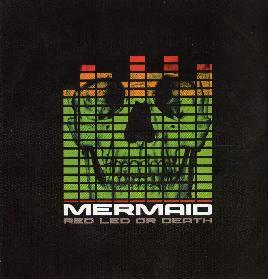 The last two tracks are back to the hard rocking sounds of Mermaid! What a surprise to hear a damn excellent band like this. I look forward for them to come to Denmark someday. For more information you can visit the Munster Records web site at: http://www.munster-records.com.